PARIS -- Fiat CEO Sergio Marchionne said today that the Italian automaker has exercised an option to buy back 5 percent of Ferrari S.p.A. but fell short of saying it was a step toward an initial public of Fiat’s exotic-car subsidiary. When the buyback is completed, Fiat will return to owning 90 percent of Ferrari. Ferrari is the smallest vehicle producer within the Fiat empire -- but the most profitable one. Last year, despite the global financial crisis, Ferrari sales slipped 4.5 percent to 6,235. The brand’s operating profit fell almost 30 percent to 245 million euros (about $320 million), but the company still had an operating margin of 13.8 percent of revenues. In the first half of 2010, Ferrari sold 3,200 cars, 2 percent more than the year before. Ferrari will increase profit by more than 10 percent this year, helped by a surge in demand in emerging markets, Ferrari Chairman Luca Cordero di Montezemolo said today. “We will close the year better than last year,” with a double-digit growth rate in earnings, di Montezemolo said in an interview at the Paris auto show. Ferrari may end 2010 with record earnings, he said. The luxury car maker plans to start selling in India next year, he added. Ferrari’s earnings before interest, taxes one-time gains or losses or trading profit rose 10 percent to 77 million euros ($105 million) in the second quarter as revenue increased about 9 percent. China sales jumped 20 percent in the first half. Fiat could gain over 1 billion euros ($1.4 billion) in cash from floating a minority stake into a Ferrari IPO. In a recent report, Morgan Stanley in London valued Fiat’s 85 percent of Ferrari at 3.1 billion euros ($4.0 billion).  In 1969, Fiat bought an initial 50 percent and a call option to buy the remaining 50 percent from founder Enzo Ferrari after his death.  In 1988, Fiat bought an additional 40 percent of the company after the death of Enzo Ferrari. The remaining 10 percent previously had been donated by Enzo Ferrari to his son Piero. 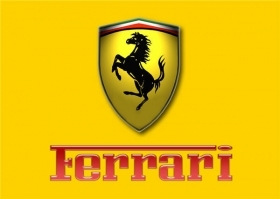  In 2002, during its worst financial crisis ever, Fiat sold 34 percent of Ferrari for 775.2 million euros (about $1.0 billion at current exchange rates) to Mediobanca, an Italian merchant bank, with a call option to buy it back. Over the years, Fiat bought back the entire stake except for 5 percent that Mediobanca sold in 2005 to Abu Dhabi’s Mubadala Development for 114 million euros ($149.2 million).